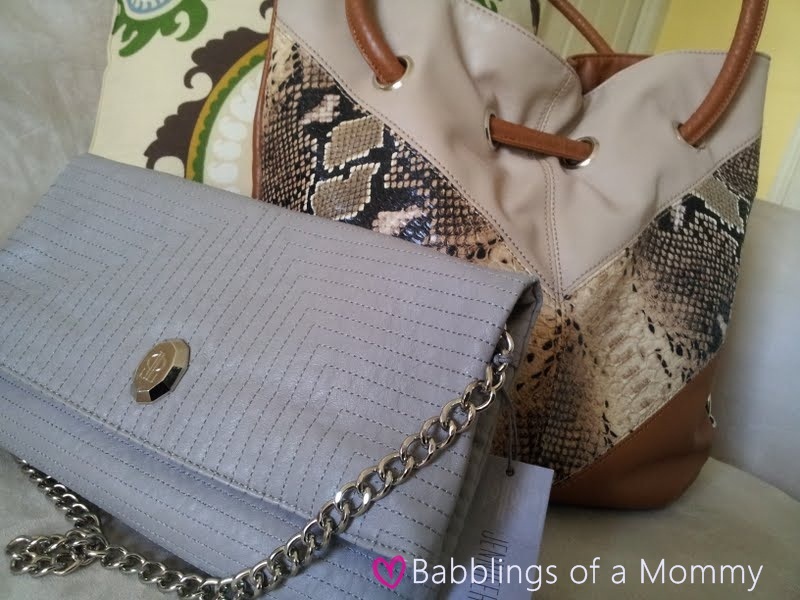 Babblings of a Mommy: Kohl's Score: 2 New Handbags I Love! Kohl's Score: 2 New Handbags I Love! I'm teaming up with Kohls on a post very soon, but I couldn't wait to show you these two new handbags I snagged! The first one is Jennifer Lopez Lillian Flap, which is a great buy because not only was it on sale from $89 to $27 (squeal!! ), but it also doubles as a shoulder bag and a clutch. I love the chain detail and the versatility of this bag. The second one is the Daisy Fuentes Adrian python tote. I saw this baby across the room and was so excited to find out it was on sale too from $59 to $30! I think it's an awesome everyday tote and is just one of the bags that go with everything. OK, that's it for now - tune in soon to see how I styled both of these on my Kohl's spring style trends post!